RAJBIRAJ, Sept 6: At least six passengers were critically injured in a microbus accident that happened Monday in Saptari along the east-west highway. CHITWAN, Sept 6: Two people died and two others were injured when a truck coming to Muglin from Kathmandu veered off the road and fell into the Trishuli River early this morning at Darechowk along the east-west highway in Chitwan. KATHMANDU, Sept 6: The Department of Forests has distributed 450,000 cubic feet of timber to the last year's earthquake survivors of 15 districts. 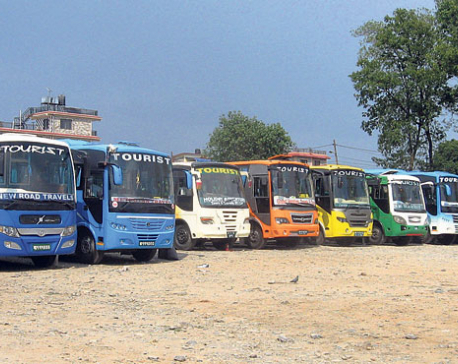 POKHARA, Sept 5: The government's preparation to limit 'tourist vehicle service' only to foreigners has saddened tourism entrepreneurs in Pokhara. KATHMANDU, Sept 5: Prime Minister Pushpa Kamal Dahal said on Monday that the government will soon take a decision regarding increasing the house reconstruction grant for quake victims by Rs 100,000. LALITPUR, Sept 6: A 13 year old girl with gleaming eyes and cheerful face does not have any interest in studying any private school at a time when middle and upper class people are bluntly interested in enrolling their wards in the expensive private schools. 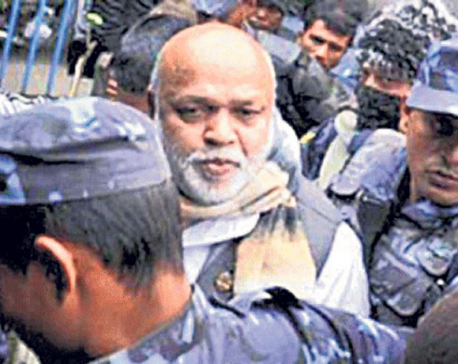 KATHMANDU, Sept 6: The Metropolitan Police Range Office, Jawalakhel, on Monday arrested former minister Shyam Sundar Gupta from Talchhikhel of Lalitpur on the charge of threatening a woman with abduction if she failed to provide him Rs 5 million. BAJHANG, Sept 6: Lal Bahadur Aagri of Rilu village has been forced to pay a fine of Rs 2,000 and 1 anna gold (around half gram) for entering a temple 'despite being a Dalit'. KATHMANDU, Sept 6: The government had officially declared the country free of leprosy in 2010, but the number of people infected with the disabling disease is rising every year. 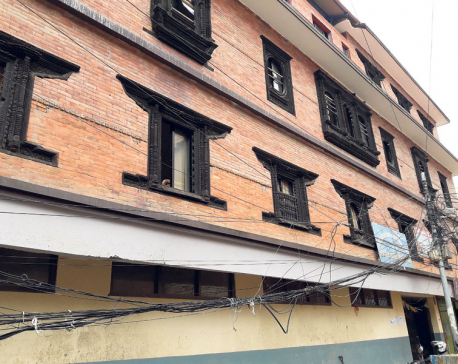 KATHMANDU, Sept 5: Stakeholders have raised their concerns over government's failure to force medical colleges to slash the fees for MBBS program in line with its own guideline.